Overlooking Reykjavik from the top of Hallgrímskirkja. 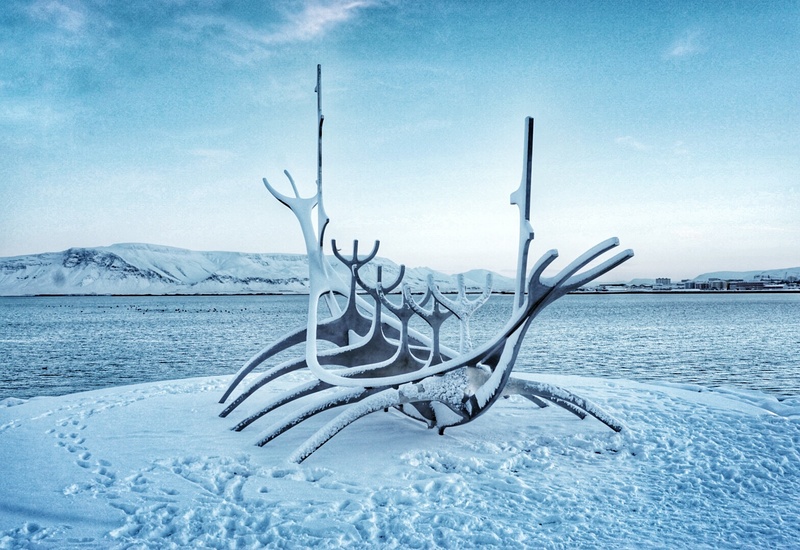 I’ve been saying this since it flew to the top of my bucket list earlier this year, “Iceland is the hottest cold destination right now!” And it’s so true. In the last year, I’ve seen deal after deal on Iceland travel. Seven of my friends have visited recently. And never have I gotten as many likes, comments, and personal messages via social media as I did during my three days in Iceland. For some reason, this country that seems a world away is attracting serious attention. And as well it should—it’s freakin’ gorgeous! There are merits to visiting Iceland any time of year, but I wanted to try my luck searching for Northern Lights in the winter. While we didn’t see them, I’d go back to Iceland in the winter again in a heartbeat—and in the summer, spring, and fall, too! All, separate trips, of course! 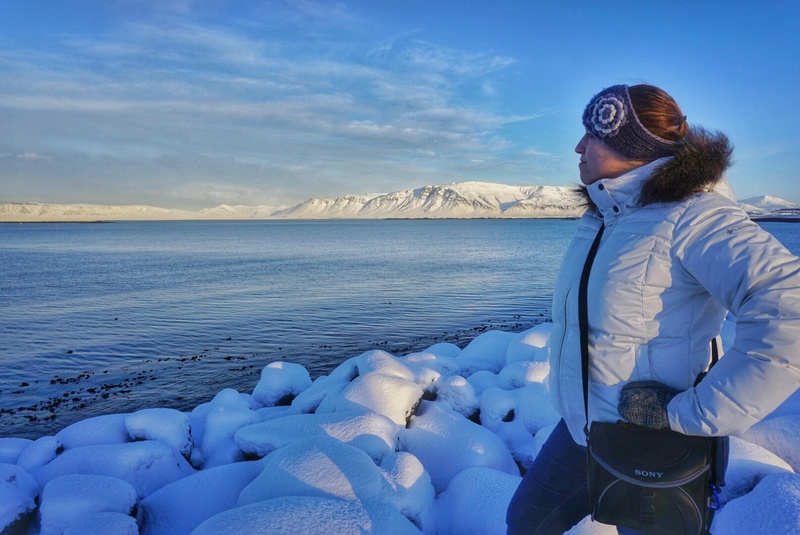 Looking out over Reykjavik after the first snowfall. 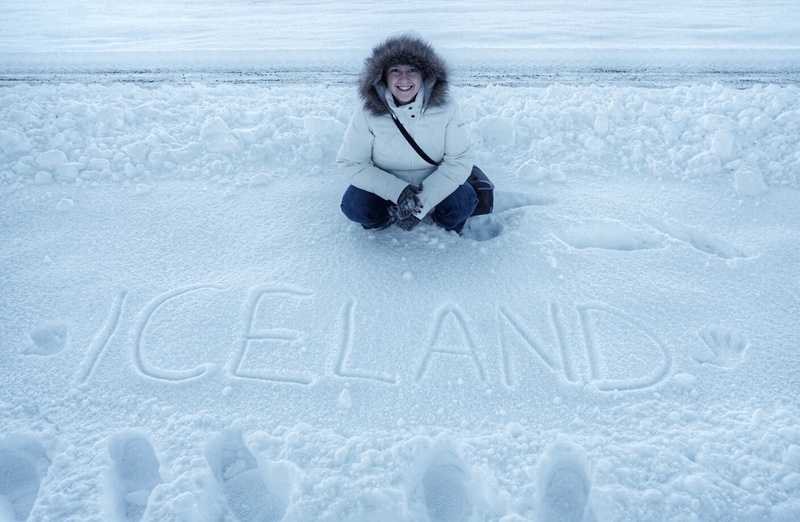 So, why did I pick Iceland for a quick holiday getaway? Because it really is perfect for a long weekend. While there’s enough to consume weeks if not months of travel, you really can scratch the surface in a couple of days. Everyone who has asked me about my trip has been shocked to hear that my drive to Newark airport took longer than the flight from there to Iceland (only about 4 hours). And airfare is stupid cheap. Earlier this year, Iceland-based Wow Airlines began offering flights from Boston and Washington D.C. for as low as $99 one way. $99 to get to Europe is completely unheard of. We booked a deal through IcelandAir, which specializes in packages. This particular deal was $670 per person, including flight, hotel, and two activities (the Blue Lagoon and a Northern Lights boat tour). It was cheaper for Kyle and I to spend four days in Iceland than it was for one of us to fly to Rome earlier this year. I felt like I would lose money by not booking that deal! If you don’t have it already, I highly recommend downloading the TravelZoo app, which shares 20 top travel deals every Wednesday afternoon. That’s how I found this deal, and I’ve seen many more for Iceland. So what do you do with a long weekend in Iceland? 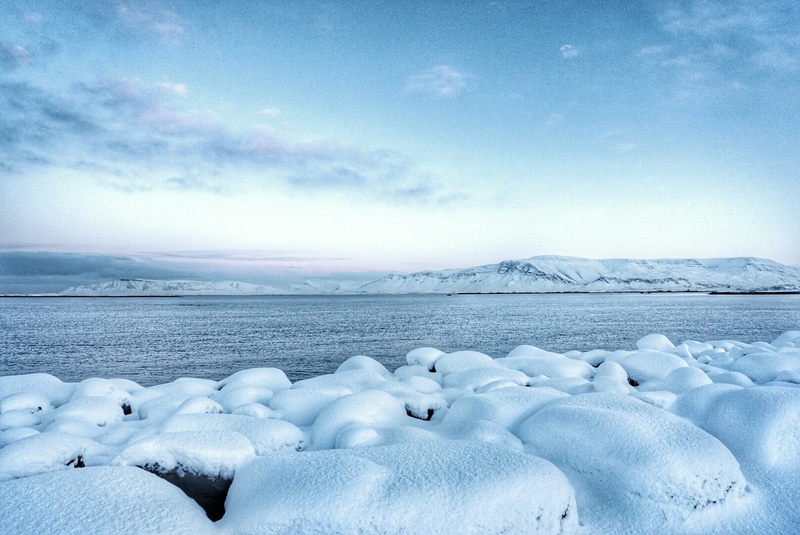 The winter is a stunningly beautiful time of year to visit Iceland, but it also means you have very limited daylight during which to appreciate it. In November-January, the sun rises very late (a little before 11 a.m.) and starts to set around 3:30 p.m. It really is kind of bizarre to have such a short amount of light during the day—but the summer makes up for it with nearly 24 hours of daylight. We maximized every moment the sun was up to take in the full beauty of the landscape. Pristine after the first snowfall. First of all, if you’re going in the winter, try to see the Northern Lights. Book your tour the first night of your visit, and if you don’t see anything, you can keep going each night for free. Unfortunately for us, we went the first night of our trip and didn’t see anything, and tours for the next two nights were canceled because of weather. But try your luck! The best months for viewing are November through early-March. 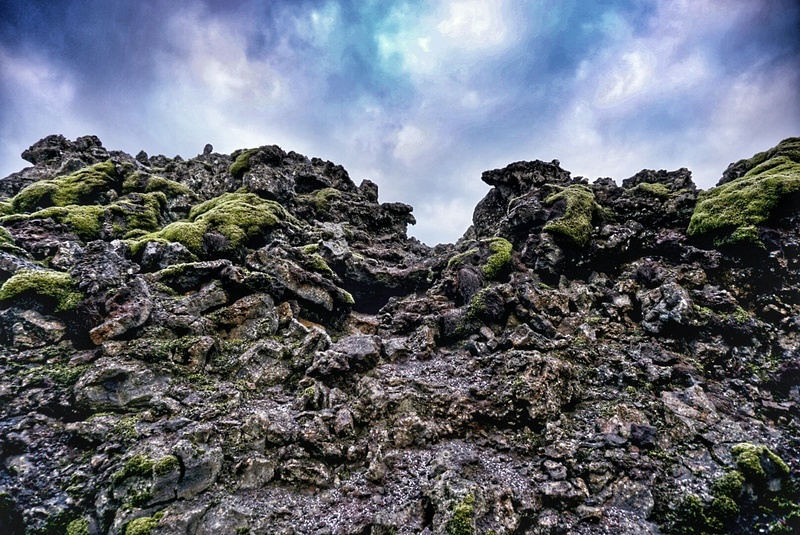 The first day of our trip, we stayed close to Reykjavik since we had just flown overnight. 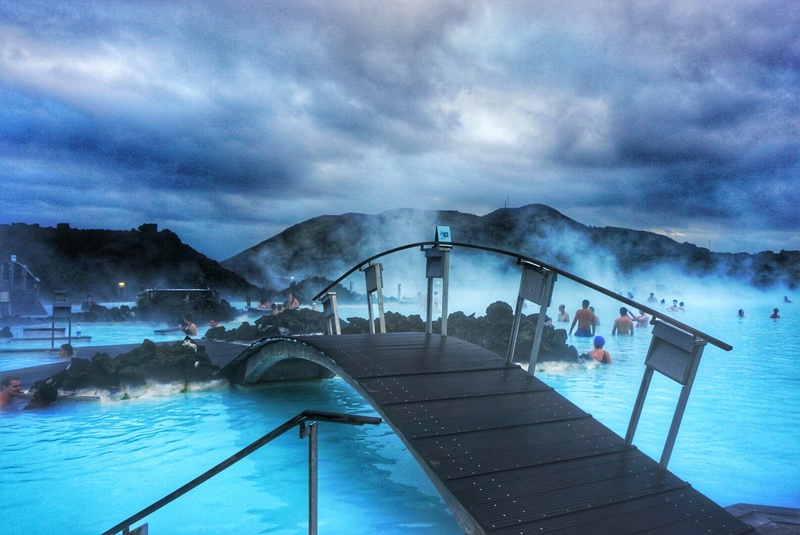 If you can, book your Blue Lagoon experience for as early in the morning as possible. Flights get in very early, and most hotels won’t let you check in until 2 p.m. 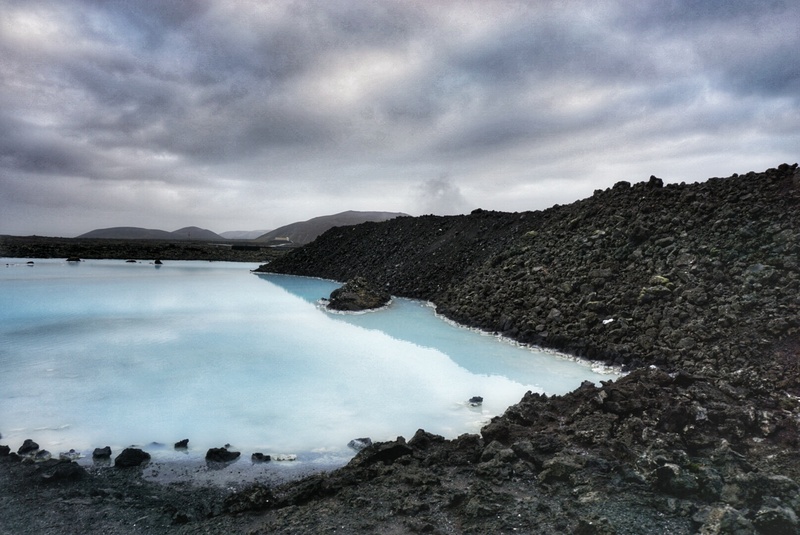 The Blue Lagoon is minutes from Keflavik Airport (and about 50 minutes from Reykjavik), so it’s the perfect place to spend the day relaxing after a long flight. They have on-site luggage storage, as well. And the very convenient FlyBus will take you directly there, the pick you up later to take you to your hotel. 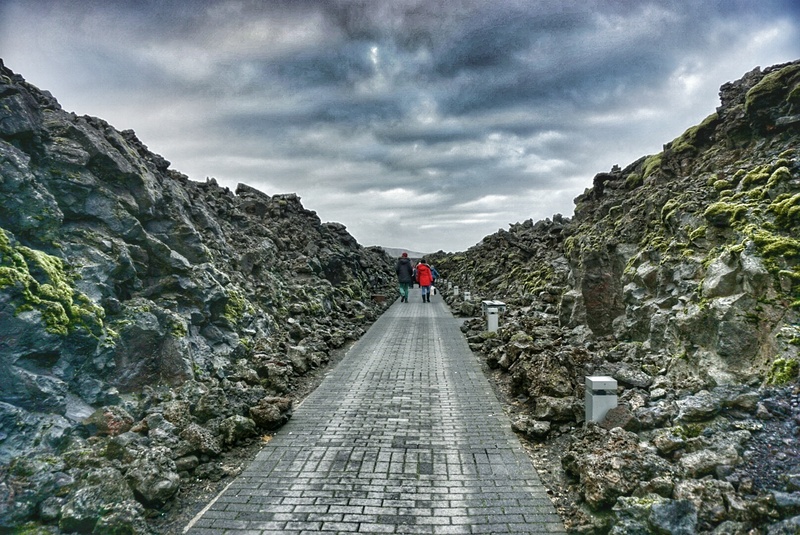 Walking through lava fields just outside the Blue Lagoon. Just outside the Blue Lagoon. 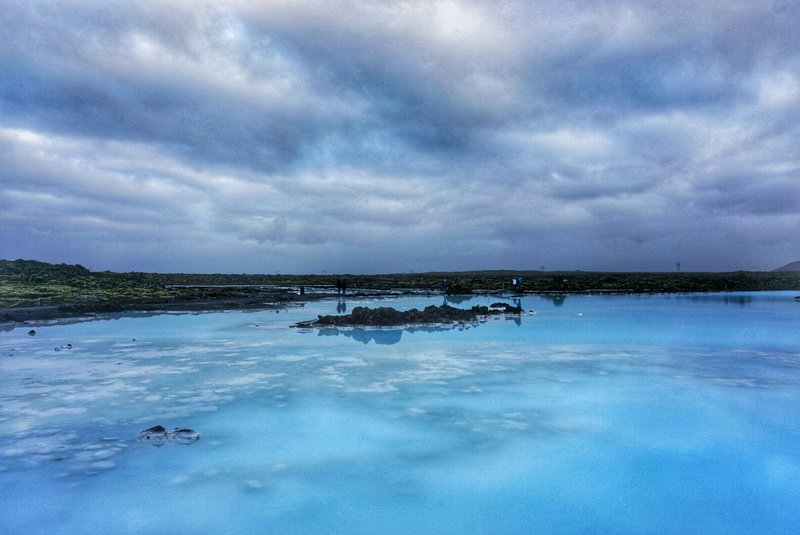 So, let’s talk about the Blue Lagoon. 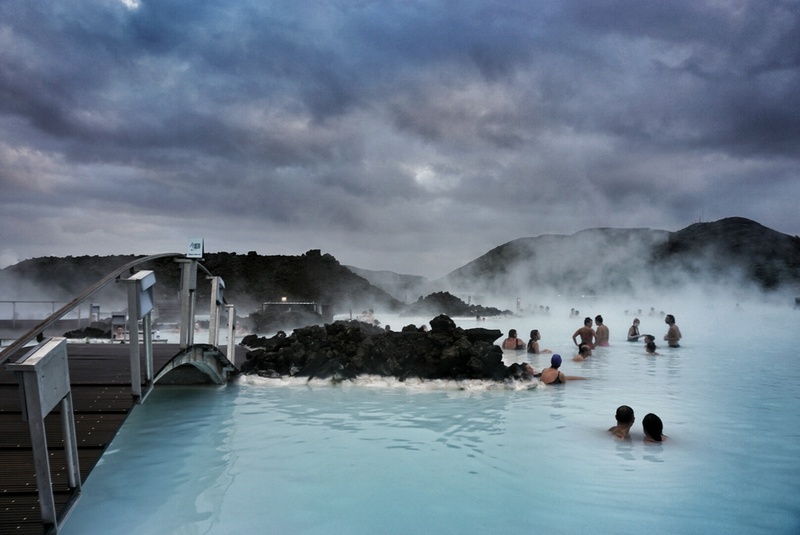 It’s a geothermal spa, and one of the largest tourist attractions in Iceland. Some say it’s too touristy, but I say it’s perfection. The water temperature is 99-102°, and many claim that the high concentrations of silica and sulfur make the water have healing powers. I won’t speculate on that, but I can say—quite enthusiastically—that it has a revitalizing energy to it. 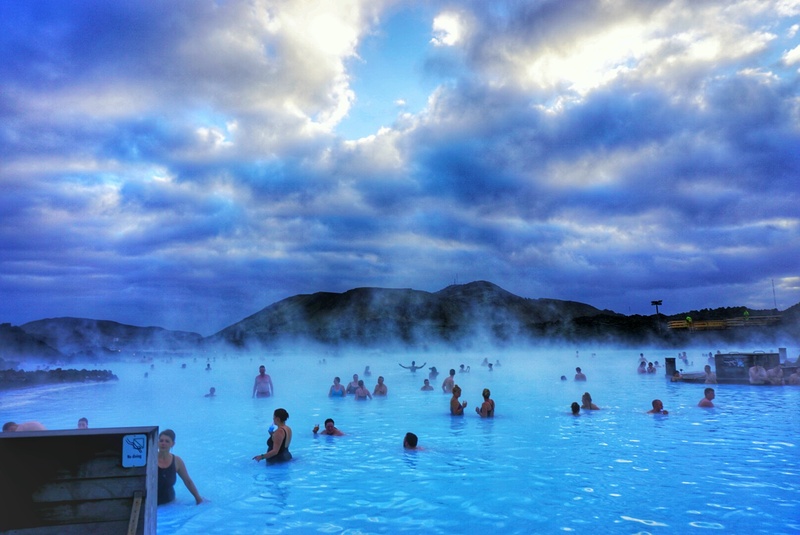 I am not one to sit in a hot tub very long, but I stayed in the Blue Lagoon all afternoon, and felt the jetlag melt away. Stay until it gets dark and feel like you’re completely alone in this steam-filled world where you can’t even see a foot in front of your face. It’s such a weird and wonderful experience! Plus, there’s a swim-up bar, so there’s that. 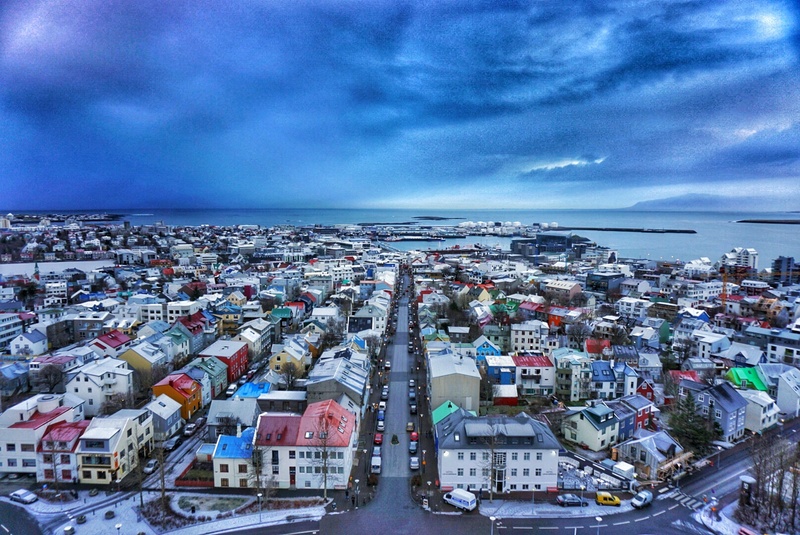 And let’s not forget Reykjavik itself! 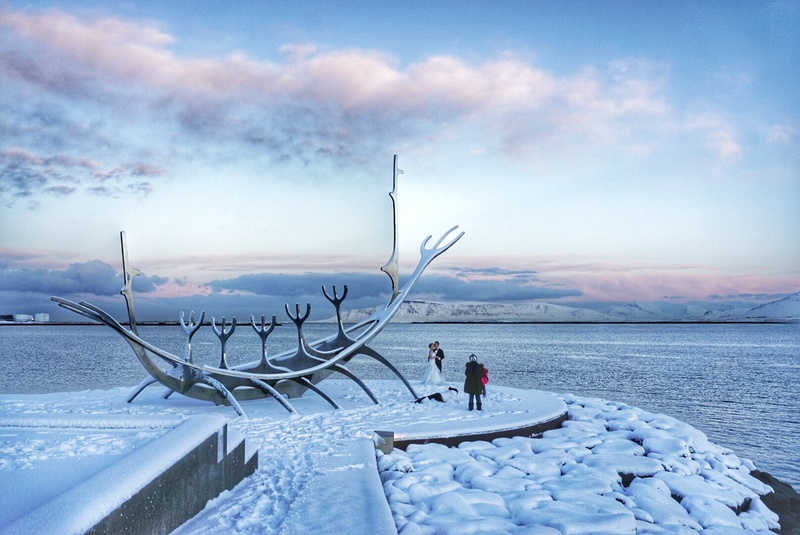 You really don’t need more than a day to explore Iceland’s capital city. We completely lucked out and got to experience the city during its first snowfall of the season. Seeing everything coated in pristine snow was magical. Sun Voyager Sculpture along the Reykjavik harbor. Loved this couple taking wedding photos there. 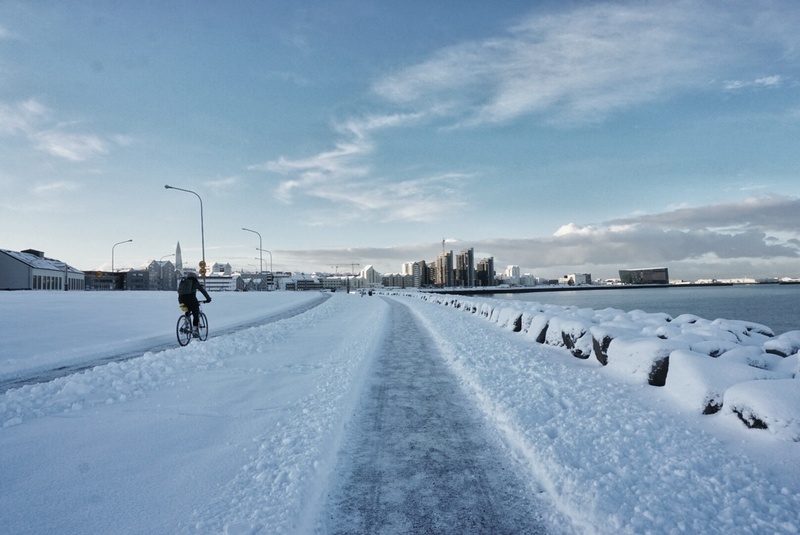 A little snow doesn’t keep Reykjavik bikers down! 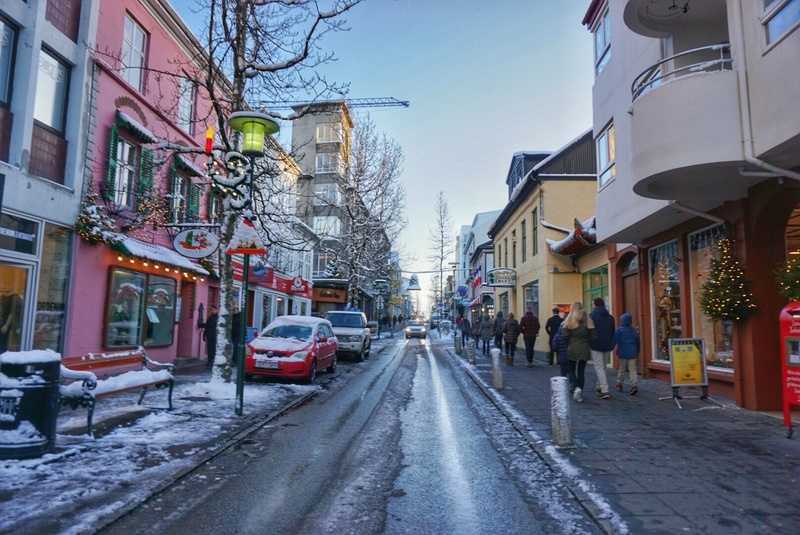 Black Friday shopping, Reykjavik style! 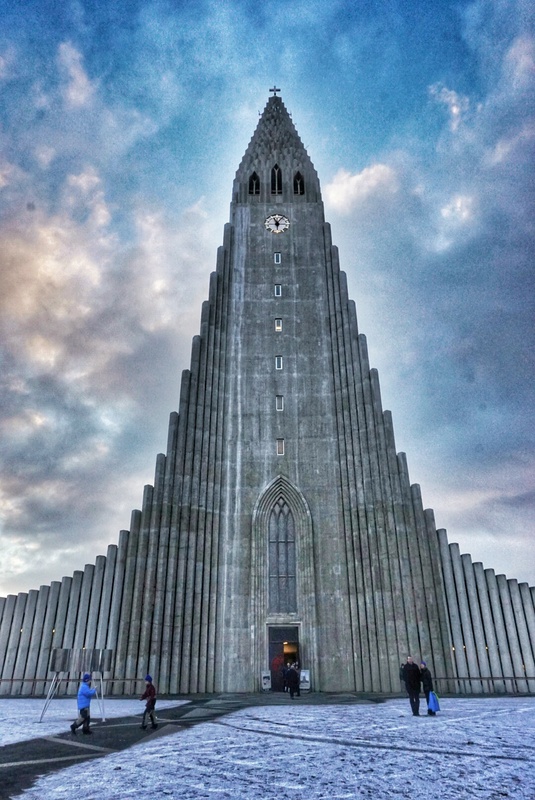 If there’s one thing you should do in Reykjavik, it’s taking in the views of the city from the spire of Hallgrímskirkja, a gorgeous church in the center of town. 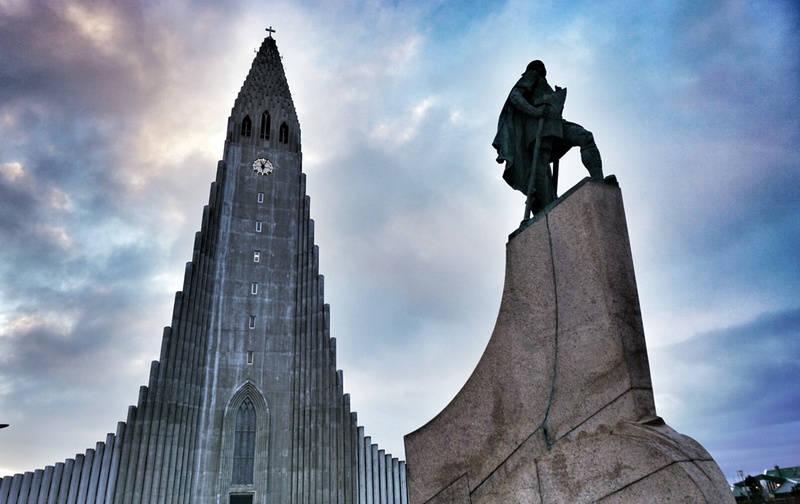 Hallgrímskirkja and a statue of Leifur Eiriksson, the first European to discover America. Check back soon for details on great day tours to take, including the Golden Circle Tour, a MUST when in Iceland!